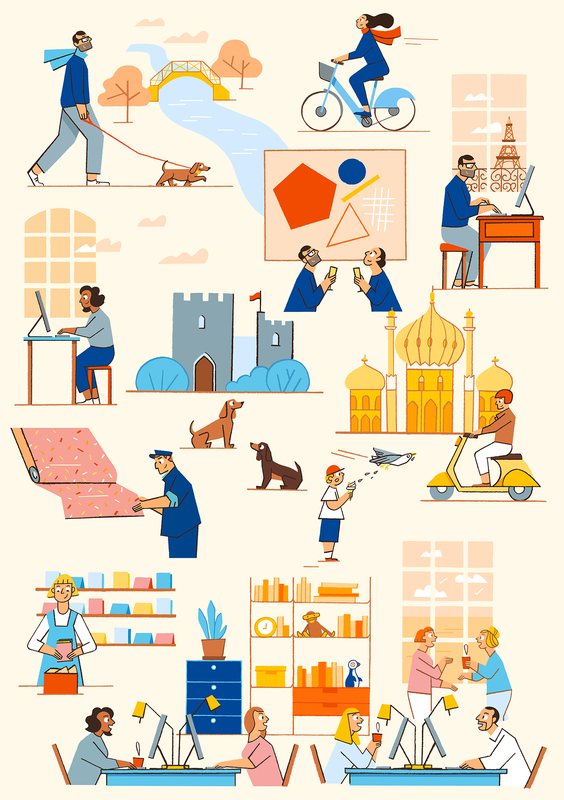 'About us' illustration for the new website of Lagom Design, a beautiful stationery and lifestyle shop. The illustration is telling their story from the conception in Paris to their growing office in Brighton. It has been brought to life by Guillaume Le Roux﻿.